How do you transform public spaces into an arena for public learning and scientific debate? Invite top female scientists to talk to people while standing on a soap box in the street! 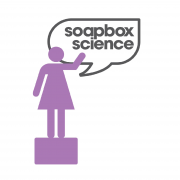 Soapbox Science is a public outreach platform, which also aims to increase visibility of women in science. 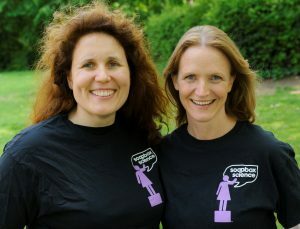 Soapbox Science co-founders Dr. Seirian Sumner and Dr. Nathalie Pettorelli wanted to bring the opportunity to meet and interact with scientists to places you wouldn’t normally expect, like parks, high streets and beaches. What started off as a single event in London 6 years ago, grew to 17 events which will be held in 6 different countries this summer! A call for speakers is now open with applications accepted until 24th February. Crastina’s Dr. Dorota Pczesniak got in touch for an interview. Why have you decided to bring the science to the public from the top of a soapbox? In the UK, we are spoilt for choice with high quality science outreach initiatives, which are very effective at bringing the public into contact with research scientists. For example, the Royal Society Summer Exhibition brings some of the best scientists in the country to within its prestigious walls in central London, where school groups and the general public can come and hear about their latest discoveries. The Cheltenham Science Festival is a fabulous opportunity for the public to meet some of the top ‘science celebrities’, as well as active researchers in a range of interactive, entertaining science shows. But, these opportunities are self-selecting: if you’ve chosen to go to a science festival, then you’re probably already hooked on science. We wanted to reach a less obvious audience – the people who don’t have the inclination, opportunity or interest to actively seek out science and scientists. Where better to do this than on the streets! Our scientists stand on upturned ‘soapbox’ crates on the streets of busy urban streets and shopping centres. They talk to anyone who passes by and is happy to stop and chat! And indeed, this approach seems to work: at least 50% of our audiences had no idea they were going to meet a scientist that day – it is a spontaneous experience! Soapbox Science is not just a public outreach initiative. Why is the focus is on female scientists? Apart from outreach, Soapbox Science has indeed a deeper message behind it. All our speakers are women. One reason for this is that we want to challenge the public’s perception of who a scientist is and encourage a more diverse scientific community for the future. Recent surveys show that 60% of the UK public (ages 18-55) describe a scientist as a man. By providing female scientists as accessible role models for the general public, we hope that this will persuade young girls (and their families and peers), irrespective of their background, to consider that a career in science could be for them. Another reason why we choose to only offer females our soapboxes is to help raise the profile of these women in science and contribute to furthering their own career in STEM. Male scientists get an overwhelmingly large slice of the ‘science-media’ pie: think how many females scientists you could name who you’ve heard on the radio this month? Now think of the number male scientists you could name… We’d put money on the latter group winning! By giving female scientists a (literal) pedestal from which to talk about their science, they enjoy the exposure, media interest and confidence boost that we hope can make a real difference to their careers. Our scientists tell us how taking part in Soapbox has attracted invitations for committee memberships, plenary lecturers, ambassador roles, and promotions within their working environments. 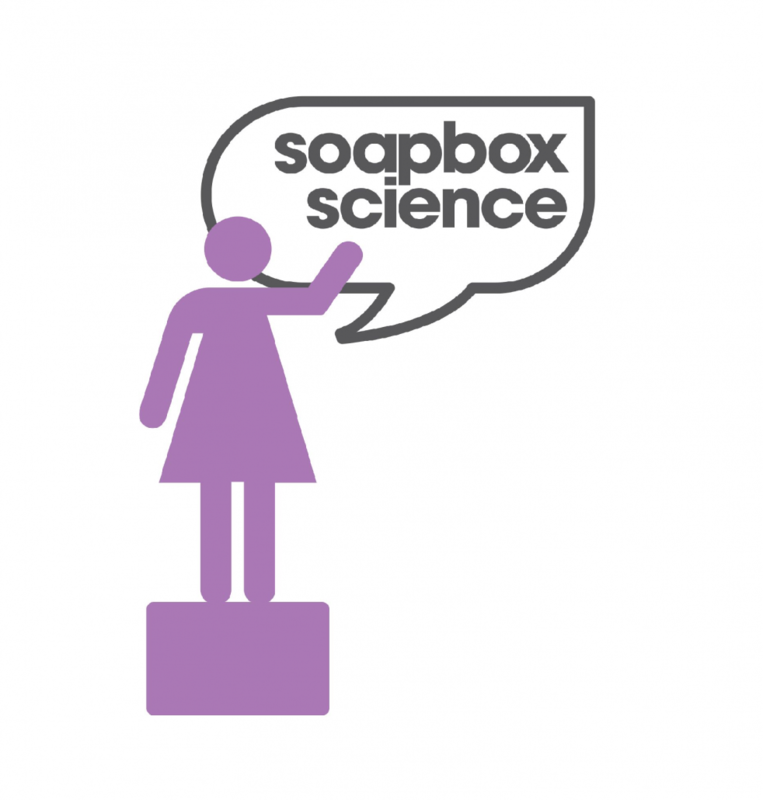 What are Soapbox Science events like? It’s not rocket science (well, not always): find 12 willing female scientists, give them a sturdy wooden crate to stand on, and a busy street to provide a crowd. Bingo! You have a Soapbox Science event! We tend to have four women speaking at the same time, spaced out, but arranged in a semi-circle to creating an arena of science buzz! There are a lot of fun props and imaginative interactive activities going on, but no slides and no microphones – the idea is that the crowds are self-limiting: if you can’t hear the speaker, then you can’t ask questions! Soapbox is about striking up a dialogue, not a lecture. Crowds muster around a speaker, and then might ebb and flow between speakers. Some people stay a few minutes, others settle down for the full 3 hours of science fun. You are currently accepting applications for your 2017 events. Where are they happening? We’re currently advertising for scientists to apply to take part in our traditional Soapbox Science events for summer 2017. The majority of our events will take place in the UK, with events taking place in Belfast, Newcastle, London, Exeter, Brighton, Hull, Milton-Keynes, Edinburgh, Bristol, Cardiff, Manchester and Swansea. However, this year we are also launching our Art and Science Soapbox events, which will combine artistic skills and scientific work to explore new ways of enthusing the general public with science. We will have four Art and Science events in the UK this year, including Leeds, London, Lincoln and Oxford. Finally, last year saw our first international event in Brisbane, Australia. This year, we’ve got new events springing up in Canada, Germany, Italy, and Ireland! Soapbox Science events draw from a tradition of public speaking in London Hyde Park’s Speaker’s Corner. What is your advice for scientists who want to be better public speakers? Surprise your audience and do something unusual to attract/retain a crowd. Be brave! Ask the crowd questions – but ones they can’t say just yes or no to! Get them talking; get them engaged. Don’t be afraid to deviate from your plan: let the crowds take your conversation to where they are interested. The journey they take you on may just open your eyes to new ideas or fresh ways to look at things.